Pakistan Tehreek-e-Insaf Chairman Imran Khan Bengali against executions in Bangladesh opposition leaders has written a letter to Prime Minister Sheikh Hasina. Imran Khan, the Bangladeshi government has demanded that they be aware of the execution of state laws. Bangladesh Prime Minister Sheikh Hasina Khan wrote to the party leaders expressed concern about the death penalty. Imran Khan said in the letter that Bangladesh government relations hurt by the execution risk of punishments. They say governments for better democracy require patience. Salahuddin said he was not concerned with any crime and countless evidence of their innocence. The so-called international war crimes tribunal orders from Pakistan’s “crime” of political leaders have continued to executions in Bangladesh,Pakistan Pakistan war of 1971 in the United States who support them not only in the legal and diplomatic support has failed completelyBut the 1974 agreement could not be implemented under the Bangladesh government had assured based on the events of 1971 will not run against anyone. 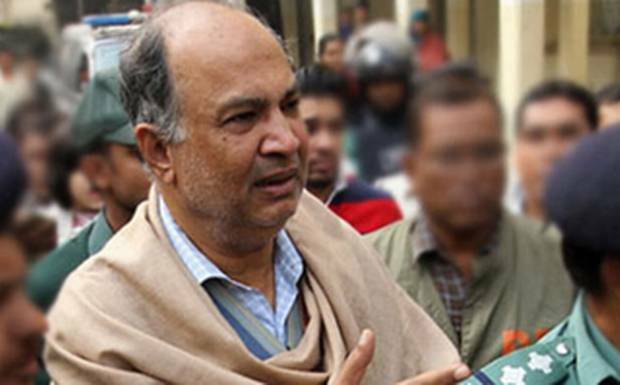 The policy of non-interference in these cases the government accused them of treatment available evidence is not prepared to provide Bangladeshi courts an example of the night between November 21 and 22 hanging up the index finger of the Bangladesh National Party leader Salahuddin Qadir Chaudhry’s case. Salahuddin Qadir Chaudhry Pakistan Muslim League in East Pakistan is the son of a prominent leader Fazal Qadir, Salahuddin Chowdhury, whose power has been indicted on the basis of events at the time the events occurred when East Pakistan (now Bangladesh) was not in, Punjab University in Lahore on these dates were testing a BA (Hons) the documentary evidence, In addition, the Dhaka High Court Justice Shameem Hussain witness these days, with the power to judge that Salahuddin was living in Lahore and with them were studying at the University of Punjab. The Justice Shamim Hossain Salahuddin Qadir Chaudhry Chief Justice to submit written evidence in favor of the permission that was given them. According to University of Salahuddin Chowdhury power in August 1971, holds a BA in political science article while Salahuddin Qadir Chaudhry, who had been charged on 13 April 1971 to all 4 cases are related. Solid oral, circumstantial and documentary evidence that Salahuddin Chowdhury power were studying in Lahore these days. PTI chief Salahuddin Qadir Chaudhry along with Ishaq Khakwani then their friends at the University of Punjab itself presented as evidence in their treatment, Bangladesh did not allow them to index finger while the Pakistani government documents could not entrust the government of Bangladesh. In addition, on April 9, 1974 in Delhi, Pakistan, India and Bangladesh had a tripartite agreement Bangladesh by the Minister of Foreign Affairs Kamal Hussain, while Swaran Singh from India by Pakistan’s then Foreign Affairs Minister Aziz Ahmed had signed defense. Article 15 of the Treaty by Bangladesh was assured the government of Bangladesh has decided that it (the creation of Bangladesh opposition) against a person will not be prosecuted. This provision has been said that the Prime Minister has appealed to the Pakistan Bangladesh forget the past and forgive, In response, Bangladeshi Minister Kamal Hussain told the Bangladeshi government has decided the passion that he would take action against anyone nor will anyone be prosecuted. Salahuddin Qadir Chaudhry 3 leaders of the party have been executed on the orders of the tribunal. Which has nothing to do with the International Court Tribunal in 1910 but Bangladesh government formed by his own law? Pakistan Government to implement the 1974 agreement India including Delhi forum raised the issueHowever, after the executions, the statements must have been keeping an eye on. Salahuddin Chowdhury, power mirrors 1971, which proves the degree that they were executed on the basis of the so-called incidents that did not exist at that time in East Pakistan. Pakistan, India, Bangladesh, clause 15 of the contract under which mirrors events in Bangladesh in 1971 because someone has promised not to run against. 15. In the light of the foregoing and, in particular, having regard to the appeal of the Prime Minster of Pakistan to the people of Bangladesh to forgive and forget the mistakes of the past, the Foreign Minster of Bangladesh stated that the Government of Bangladesh had decided not to proceed with the trails as an act of clemency. It was agreed that the 195 prisoners of war may be repatriated of Pakistan along with the other prisoners of war now in the process of repatriation under the Delhi Agreement.